anyone has a recipe for vegetable cutlet? anyone has a recipe for vegetable cutlet? reema replied. Thanx for the recipe it was very helpful ...can you share more recipes??? Harsha replied. 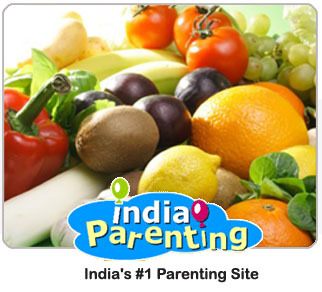 As per requirement take vegetables such as carrot, potatoes, spinanch, spring onion, corriander. Grate carrot & boil potatoes. Smash potato & mix them with grated carrot, finely chopped onion & spinach. Put ginger-garlic paste, salt, turmeric powder, pepper powder or any spices powder. For binding use Gram flour or Corn flour or Rice flour. For adding taste you can put curd or lime to it. After mix the vegetable with flour, mould it in shape of heart, square, circle & apply rava (Suji) on the outer side to add crisp. Deep fry or swallow fry & serve with sauce or chutney. Thanx for the recipe it was very helpful ...can you share more recipes??? As per requirement take vegetables such as carrot, potatoes, spinanch, spring onion, corriander. Grate carrot & boil potatoes. Smash potato & mix them with grated carrot, finely chopped onion & spinach. Put ginger-garlic paste, salt, turmeric powder, pepper powder or any spices powder. thanks r recipe harsha .